Tickets can be purchased online through our website or in person at Syndicated. All sales are final. For ticketing and general inquiries, contact info@syndicatedbk.com. 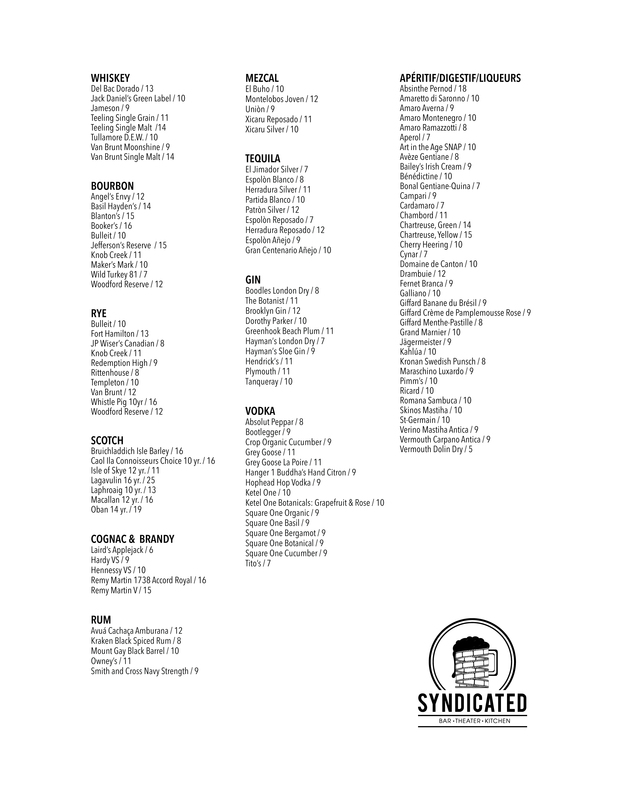 For private events and group ticketing, contact events@syndicatedbk.com. Visit our website or our Instagram @syndicatedbk for additional, up-to-the-minute information. 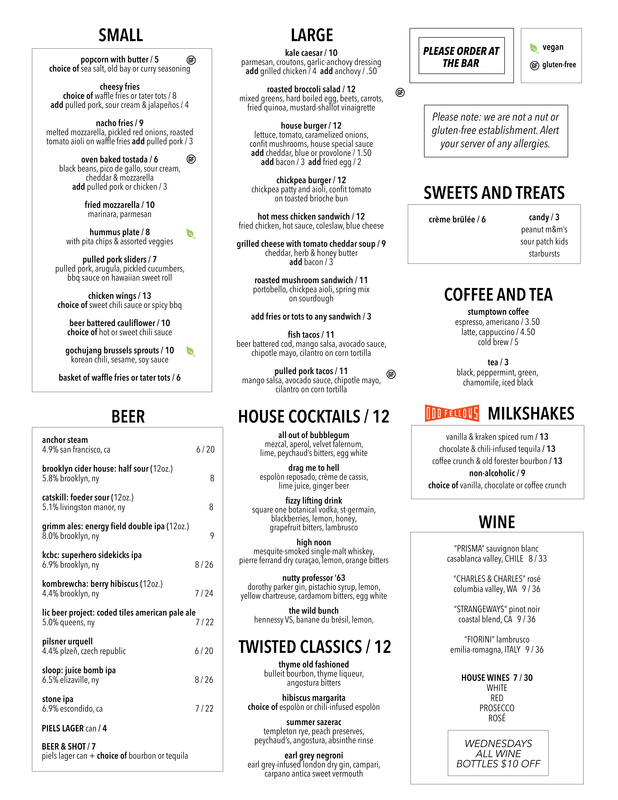 Our kitchen closes at 11pm Sunday - Thursday and 1am on Friday and Saturday.